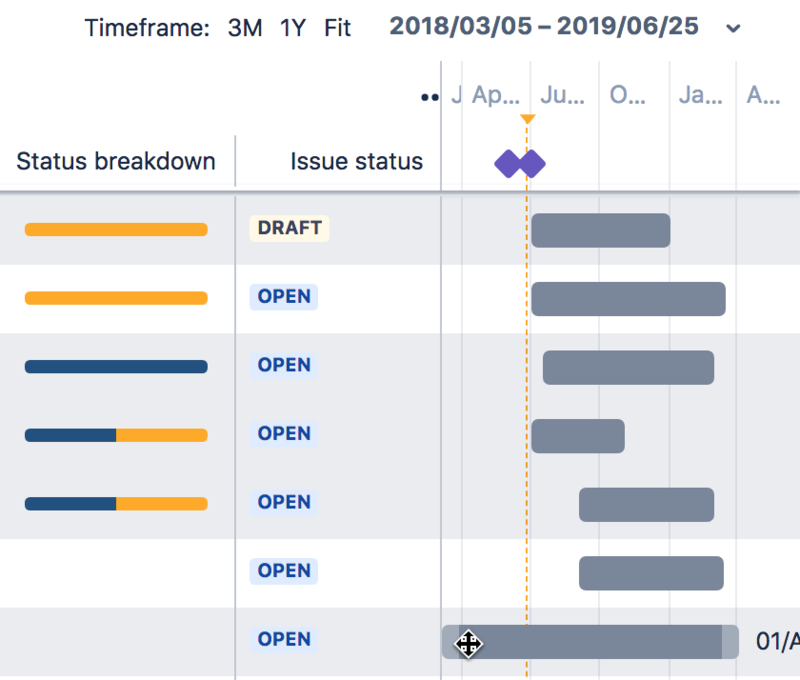 In Portfolio for Jira 3.0, after creating a plan, you will be taken to the roadmap view, where you can view and schedule issues across the projects you're managing. 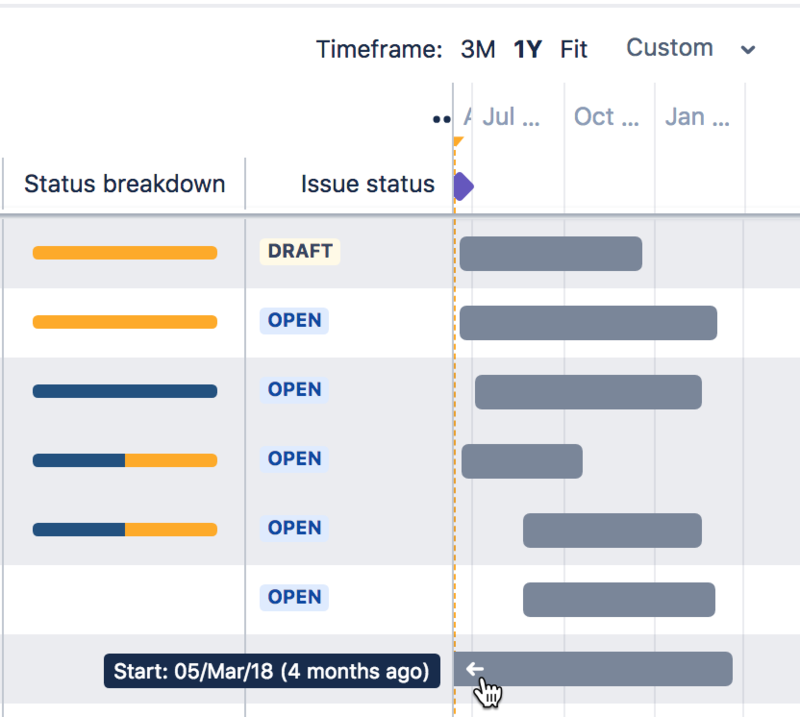 Once the issues are scheduled, your teams can then know when to work on these issues accordingly. In alpha plans, the order of the columns in the fields section depends on the order that you add the fields to your plan. We're currently iterating on the best way to reorder fields for future versions.